The Mountfield 3600SH combines practicality, convenience and exceptional performance, so will prove a great buy for those seeking an effective and hassle-free way to maintain a lawn up to 6000m2. It’s fitted with a powerful and ultra-dependable Honda GCV390 engine that’s equipped with an electric key starter, so grappling with a starter rope will become a thing of the past. A very large-capacity 4.5-litre fuel-tank helps to keep downtime to a minimum. 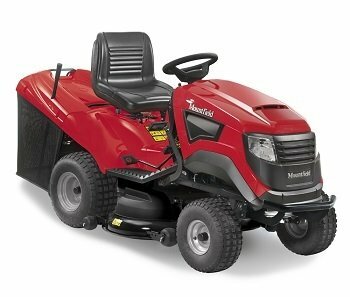 One of the many stand-out features on the Mountfield 3600SH Lawn Tractor is its foot-operated hydrostatic-drive. This works much like an automatic gearbox in a car – the more firmly you press the pedal, the faster the forward-speed. A separate pedal controls the reversing speed. The hydrostatic-transmission on this model combines with light-touch steering and a very tight turning-radius to make highly manoeuvrable, so it will really come into its own if you’ve got trees, shrubs, borders and difficult corners to deal with. 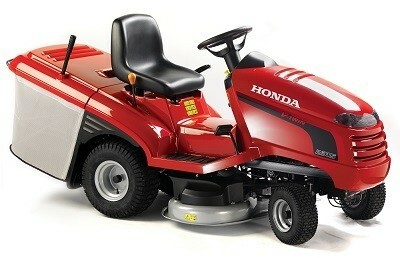 It cuts beyond the width of the wheels, which means there’ll be less strimming work to do once you’ve finished mowing. Thanks to its flexible seven-stage cutting-height (adjustable between 25 and 80mm), the Mountfield 3600SH can be set-up to achieve great results on any grass type (the height is controlled by a handily positioned lever). Its 92cm twin-bladed cutter-deck ensures a neat and thorough cut and is equipped with a hosepipe attachment, which makes cleaning the underside of the deck a fast, hassle-free operation. The Mountfield 3600SH also features a large-capacity grass-collector that will hold an impressive 260-litre of grass-cuttings. The collector has an audible ‘collector full’ warning, which means you won’t have to clear the inevitable blockage that will occur should it be overfilled. It can be tipped and emptied without leaving the driver’s seat. A mulching-kit and tow tow-bar - with a combined value of £168 - are supplied Free as part of our special promotion on Mountfield tractor mowers. 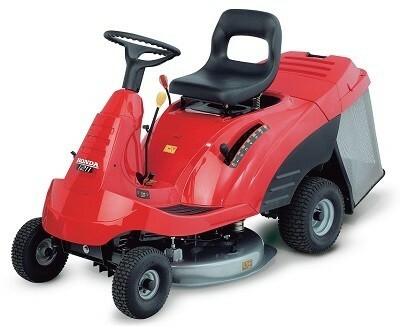 The perfect ride-on mower for lawns up to around 3000m2, especially those with space-restricted areas, the Mountfield 827H is one of the most compact machines of its type in production (it has a 66cm width-of-cut). Making it tick is an ultra-dependable four-stroke power-unit from Mountfield’s impressive 5750-Series. Benefiting from an overhead-valve configuration, these high-performance four-stroke engines deliver their power smoothly, cleanly and quietly; and use a lot less fuel than their conventional side-valve counterparts. There’s no troublesome pull-type starter; Mountfield have provided a stress-reducing electric key starter. 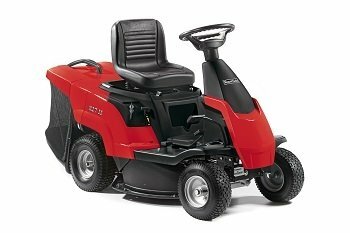 Thanks to its hydrostatic transmission, the Mountfield 827H Compact Lawn Rider can be driven rather like an automatic car – simply press the foot-pedal and you’ll gradually accelerate according the amount of pressure you apply. This makes it much easier to negotiate obstacles and end-of-pass turns, and also allows you to precisely tailor the ground speed to suit whatever conditions you’re dealing with. The Mountfield 827H is supplied with a very roomy 150-litre grassbag, which you can empty from the comfort of the driver’s seat. The fact that the bag is made from breathable fabric means that spent air can escape, thereby ensuring it’s filled to maximum capacity. A six-step height-of-cut, adjustable between 30 and 80mm, allows you to manage the changing grass-conditions that will inevitably occur as the season progresses. 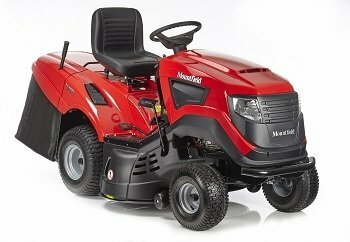 This premium-quality lawn tractor from Mountfield offers high-spec features throughout and will come into its own on lawns and informal grassed areas of up to 8000m2. It’s powered by a 452cc Mountfield 7750-Series engine; an overhead-valve power-unit which you’ll find smooth-running, exceptionally reliable and highly economical. An electric key start starting ensures getting the engine going is a fast, headache-free operation. 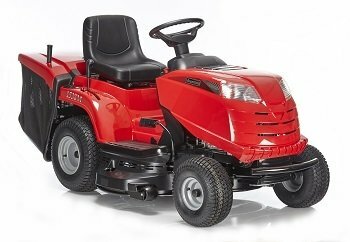 Instead of a clunky manual gearbox, the Mountfield 1640H is equipped with a hydrostatic drive. 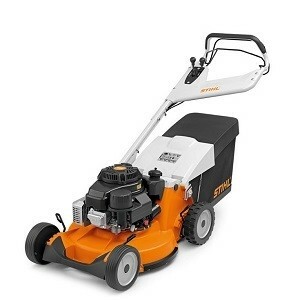 Similar to a an automatic transmission on a car, this high-end feature enables you to control the mower’s speed (both forward and reverse) using a foot pedal, maximising manoeuvrability when mowing around and between obstacles, and making it easy to select the most effective pace for the grass conditions. A very tight turning circle (160cm) further improves manoeuvrability. Thanks to its bagging, mulching and rear-discharge capabilities, the Mountfield 1640H Lawn Tractor offers the versatility needed to tackle a range of different grass types. In collection-mode, grass clippings are blown from the 102cm twin-blade cutter-deck into a very large-capacity 260-litre collector that makes it possible to get the job done with fewer stops. The collector can be emptied without leaving the driver’s seat and is fitted with a ‘collector full’ buzzer to let you know when it’s at capacity (this helps to stop the discharge-chute becoming blocked due to overfilling). Clumped grass-clippings around the blades and underside of the deck can seriously inhibit performance, so Mountfield have equipped the 1640H with a handy deck-wash facility. Simply attach a hose, turn on the water and then spin the blades - the dead grass will then be thoroughly removed. This cutter deck on this model is slightly wider than the width of the wheels, so there’ll be less post-mowing trimming work to do. 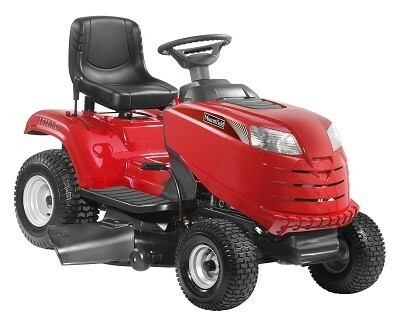 Versatility, robust build-quality and a host of practical and convenient features; that’s what you get with the impressive Mountfield 1538M Lawn Tractor. Under the bonnet is a high-capacity 452cc Mountfield that produces a substantial 11.2hp @ 2800rpm; and which boasts an overhead-valve (OHV) configuration for low-noise, low-emission operation with reduced fuel-consumption. An electric key starter makes the ignition process super-simple; while a six-litre fuel-tank will see you cover lots of ground between top-up stops. The Mountfield 1538M Lawn Tractor is supplied with an expansive 98cm cutter-deck that ensures a fast work-rate over large areas (it’s aimed at lawns around 6000m2). It offers single-lever, spring-assisted height-of-cut control, so it couldn’t be easier to make those pre-mowing adjustments; and it features an electromagnetic P.T.O. for smooth, low-wear blade engagement. Thanks to its generously proportioned 250-litre grassbag – which can be emptied from the driver’s seat – the 1538M will enable you to get the job done with few time-consuming trips to the compost-pile. It benefits from a washout port that makes keeping the undercarriage clean a hassle-free operation; and it’s fitted with a heavy-duty front-bumper that protects the engine in the event of accidental impact. Highly manoeuvrable, the Mountfield 1538M is equipped with a six-speed manual transmission (5+1) and has a turning-circle of just 140cm. 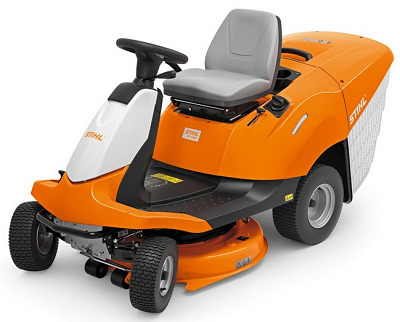 Twin-headlights facilitate safe operation when visibility isn’t great; while an adjustable high-backed seat ensures long hours of comfortable, low-fatigue mowing and towing (tow-bar optional).